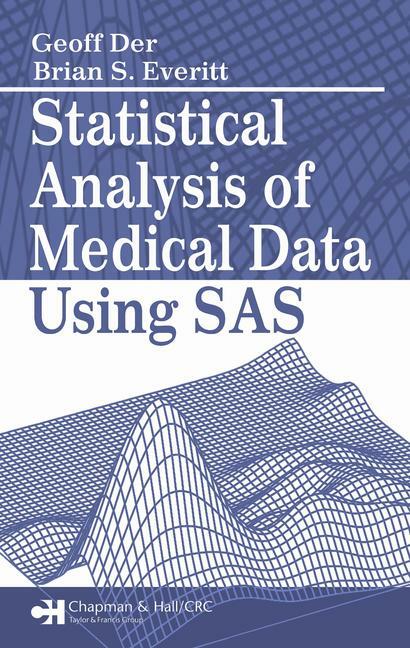 An Introduction to SAS. Describing and Summarizing Data. Basic Inference. Scatterplots Correlation: Simple Regression and Smoothing. Analysis of Variance and Covariance. Multiple Regression. Logistic Regression. The Generalized Linear Model. Generalized Additive Models. Nonlinear Regression Models. The Analysis of Longitudinal Data I. The Analysis of Longitudinal Data II: Models for Normal Response Variables. The Analysis of Longitudinal Data III: Non-Normal Response. Survival Analysis. Analysis Multivariate Date: Principal Components and Cluster Analysis. References.